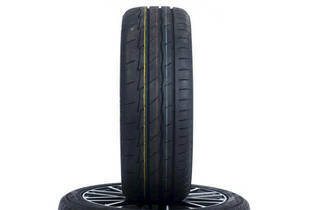 Snapshot: The Bridgestone Potenza Adrenalin RE003 is an asymmetric tyre with a speed rating of 270km/h. But how well does it corner and brake in the wet and dry? Stopping distance increased significantly in the wet. This size of tyre suits cars such as the Ford Mondeo, Holden Commodore and Cruze, Honda Accord and Odyssey, Hyundai Kona, Lexus GS, Mazda6, Mitsubishi ASX and Subaru Legacy.